(Medical Xpress)—Scientists broadly regard cognitive decline as a natural condition of aging. However, research has not yet established the mechanisms for age-related differences in brain function between younger and older people. Among the changes that occur with normal aging is the decline of the dopamine system. 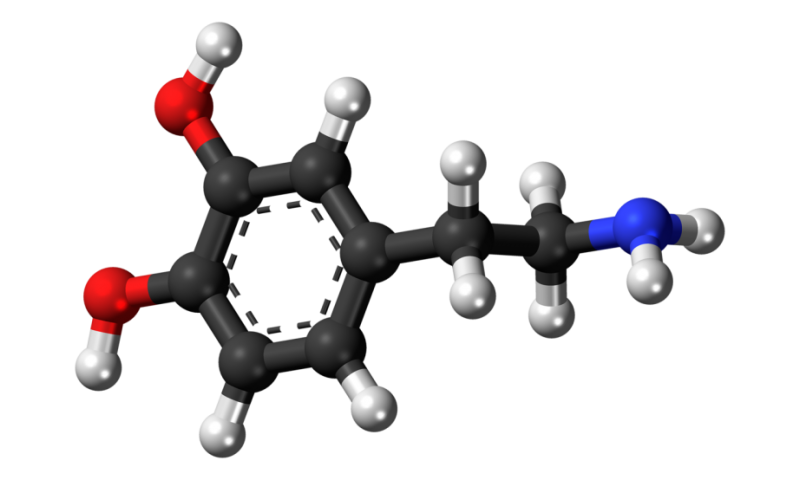 A group of researchers recently explored the connection between the dopamine system and cognitive function in older and younger adults, and they have published their results in the Proceedings of the National Academy of Sciences. Previous studies demonstrated that neurons in mice with healthy dopamine systems exhibit classic bursting activity and that mice induced with dopamine deficiency display a complete lack of neuron bursting activity. In the dopamine-deficient mice, the researchers successfully increased bursting activity by administering a dopamine agonist, and these findings directly influenced the current human study. The brain dynamics of high-functioning young adults are characterized by greater brain signal variability than that of older people. The brains of healthy young people typically express more signal variability across trials and time relative to older subjects. As a marker of this function of variability, the researchers examined the effects of amphetamine on blood oxygen level-dependent (BOLD) signal variability, which is easily monitored in brain regions via fMRI. A group of 40 younger participants and 22 older participants underwent fMRI scanning on two occasions, one week apart: During one session, a physician administered a placebo; for the other session, participants were administered low-dose amphetamine. During the fMRI, participants performed a letter n-back task (blocked design) chosen for its cognitive load on working memory. Additionally, the researchers investigated the effect of session order on cognitive effect of low-dose amphetamine. Some participants received placebo during the first session and amphetamine during the second; other participants received amphetamine first followed by placebo the second week. The results of the experiment are in line with the hypothesis that age differences in brain signal variability reflect age-induced changes in the neuromodulation of dopamine. The researchers found that the majority of the older adults in the study showed increased BOLD variability on amphetamine, particularly those subjects with the lowest levels of BOLD variability during the placebo stage. The experiment also showed improved reaction mean times on amphetamine. It's notable that amphetamine effectively increased BOLD variability in older adults in specific brain regions observed in previous studies to show reduced signal variability during aging. These include the dorsolateral prefrontal cortex, posterior parietal, and primary visual cortices. Under placebo, young adults expressed more signal variability in all task conditions than the older adults. But the researchers noted that under amphetamine, signal variability in older adults increased dramatically, whereas the effect on young adults was far more modest. Additionally, the effect of increased signal variability appeared to increase with increasing task difficulty. Older adults who received amphetamine during the first session tended to show the greatest improvements in speed and test performance. Conversely, those who received amphetamine during the second session, and therefore had already practiced the working memory test on placebo, showed either performance improvements in the presence of modest BOLD signal variability, or no effect at all. The authors note, "The subsequent administration of a DA agonist (AMPH) when participants are in a more practiced state (as in the placebo-AMPH group) may then have productive or counterproductive effects... Conversely, those who receive AMPH with limited task practice arguably reflect a purer example of the influence of AMPH alone." Thus, the researchers hope that future studies of aging and brain dynamics will continue to account for drug administration order as an important influence on results. The researchers conclude that the resulting data provide strong evidence for amphetamine-related changes in BOLD signal variability related to aging and working memory. The older adults were able to match or even surpass the younger adult levels of BOLD variability in response to dopamine agonism. In turn, this reinforces the theorized connection between the manipulation of dopamine levels, brain dynamics and age. Interesting study! However, as is usually done, the researchers focused on effects and not causes. I didn't see questionnaires or investigation into possible historical causative factors for reduced dopamine levels, leaving the researchers with age as the only correlated-but-not-causative explanation.